Before asking what type of bike to get, first define your own riding style. This is not as easy a task as it sounds, though. As recreational riders, most ofus do not have a single, clear cut riding style that defines ALL the riding we do. We often like to do a bit of everything, and experiment different ways to ride, different skills to learn and different trails to ride. Compare to competitive riders in various mountain biking disciplines: XC riders who value rolling speed, climbing efficiency and singletrack steering nimbleness above all else, DH riders who need the monster suspension that enables them to plow through rock gardens and slack geometry to tackle steep descents with confidence, 4x racers who need bikes that will be best for explosive sprinting and attacking sharp turns in succession, etc. Competitive mountain bikers have a need for (and sponsorship money to get) purpose-built machines. Conversely, as non-competitive riders, most of us want (and can only afford) one bike that will enable us to do a little bit of this and a little bit of that fairly well. That said, and given the multitude of options for bikes now on the market blurring the lines between riding styles and disciplines, we all have our “dominant” riding style that will ultimately decide the type of bike we choose. Are you more of an XC rider who lives for the challenge of technical climbs and chooses finesse over speed on descending, or do you slog through the uphills to really rip it up on the descents? Do you find yourself choosing to go over or around trail obstacles? Do you value pedaling efficiency more or suspension plushness? How hilly or mountainous is are your home trails? Do you plan on taking your bike to ride lift-access DH trails or are you going to rent a DH bike if you ever do that? Once you have answered these questions and defined your dominant riding style, it is time to define a budget. 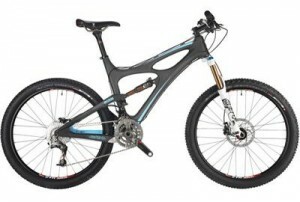 The 2013 Specialized S-Works Enduro is an ultra high-end bike. It also costs $9,000. There is also an Enduro Comp for $3,500. Is the massive price difference worth it? You decide! Now that you know what kind of riding you’ll be doing more of and defined how you like to ride, set a budget ceiling. And let’s be honest: we’re all guilty of setting budget ceilings for buying things we love, and then completely disregarding that ceiling when tempted by ‘nicer’ options! It is probably wise to set a range within which you’re willing to spend, and hopefully this article will help you spend your money more wisely as opposed to going for what the bike shop, magazines or online reviews tell you what the ‘best bikes’ is. 3. Where do you plan on buying? Brick-and-mortar vs. online. Well, in Egypt we do not have too many good options as far as either is concerned, but hopefully the market will offer more variety as more and more people get into the sport here. For now, most riders are opting to import bikes. We will not get into the details of shipping costs or which airlines will not charge you excessive fees for carrying bike boxes in this article as it is about how to CHOOSE a bike. What you need to know is that buying from a bike shop is generally better assuming they offer good after sale service. You get a chance to at least throw a leg over the bike and see if it ‘feels’ right. Better yet, try to schedule a demo ride if the shop offers demos for your chosen model (some shops will charge you a small fee, but it goes towards the price of the bike if you eventually opt to buy it there). I emphasize that the keyword here is “service”. Any shop can carry good brands, but not any shop will offer a decent after sale service once you have bought an expensive bike. 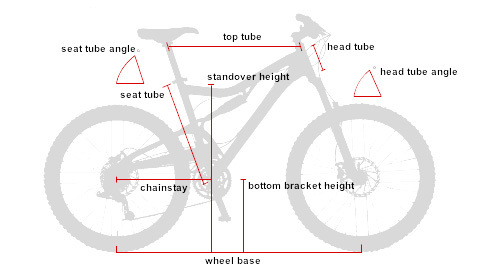 Buying online can be a hit-or-miss unless you are fairly certain of key information, most importantly frame sizing, which is not a difficult thing to do once you have a look at the manufacturer’s geometry charts and compare with what you currently ride (or maybe a similar bike that a friend owns). Several online retailers often have unbeatable deals and offer great spec-to-price ratios. 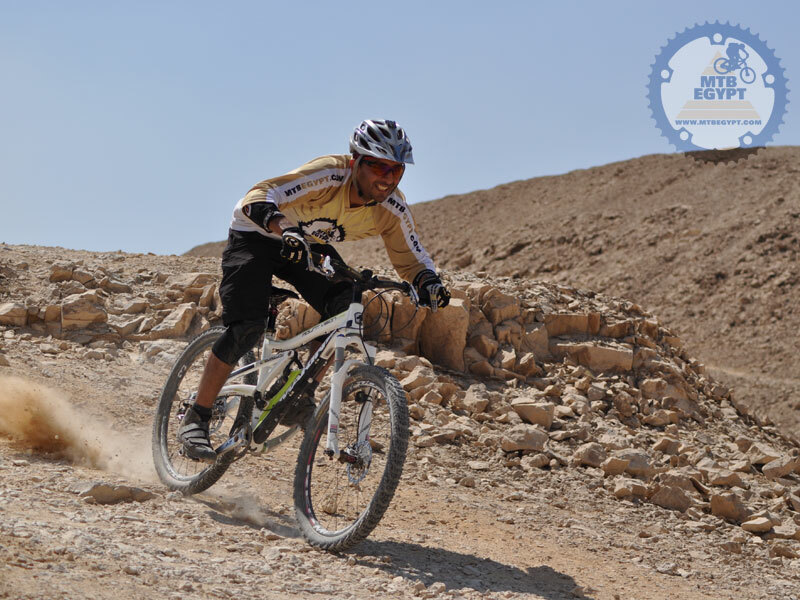 Unlike hardtails, full-suspension bikes have a lot of moving parts (pivots, bearings, axles, etc) that need regular maintenance if you intend to keep your bike in good working order for a few years. Some bikes need more regular service than others. Some manufacturers use better frame bearings, have bettermachining finish and manufacturing tolerances, and offer longer warranties than others. Some bikes will be fantastic out of the shop, but start developing play in the pivots, rough bearings or other issues much earlier than you thought, especially in foul weather (thankfully our dry weather in Egypt is conducive to better longevity of bikes and components, but you still need to do regular proper maintenance). 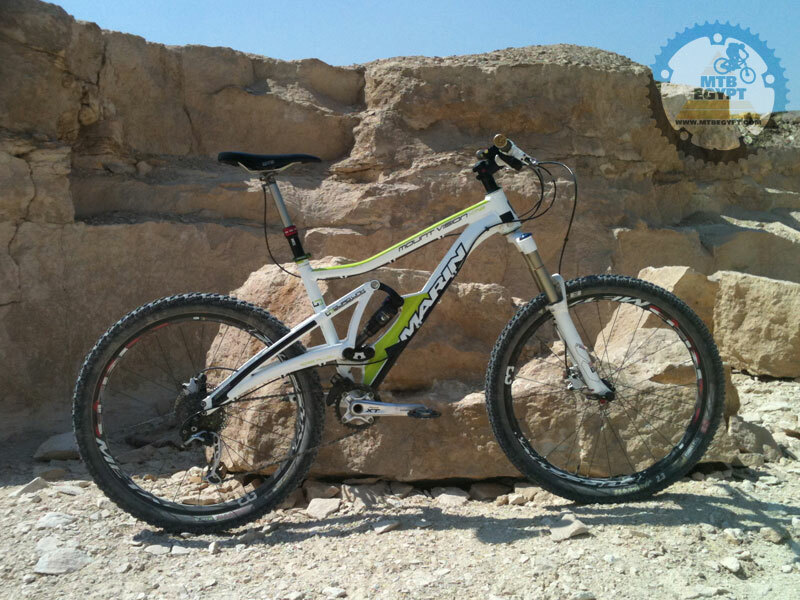 We cannot possibly cover everything about even a small number of manufacturers here, but here is what you need to do once you have your eye on one or two models: a) Read the manufacturers warranty policy, b) go on popular mountain biking forums and find out what people are saying about your chosen model(s). A place like the forums on MTBR is a great resource for that. C) if at all possible, talk to people who own the same or similar models. As a general rule, there is a direct relationship between price and reliability: you’ll pay more for quality frames (not necessarily the ones that come with better component specs if you’re buying a complete bike). We will not go into the debates of which bike suspension system is the “best” here, because there is no such thing. Every well designed suspension system has its advantages and disadvantages, and designers keep adapting these designs for various purposes and incrementally improving the features of these systems, year after year. 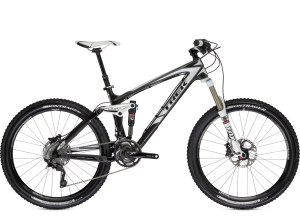 The 2013 Scott Genius' is a fantastic bike, but the Equalizer rear shock is a proprietary component and not very easy to service by the average rider. There are many very good suspension designs out there, which is great because it gives us options as riders with varying tastes and riding styles. There are some suspension designs that offer features that stand out more than others, but the main battleground between these systems is finding the optimum balance between pedalling efficiency and suspension plushness. 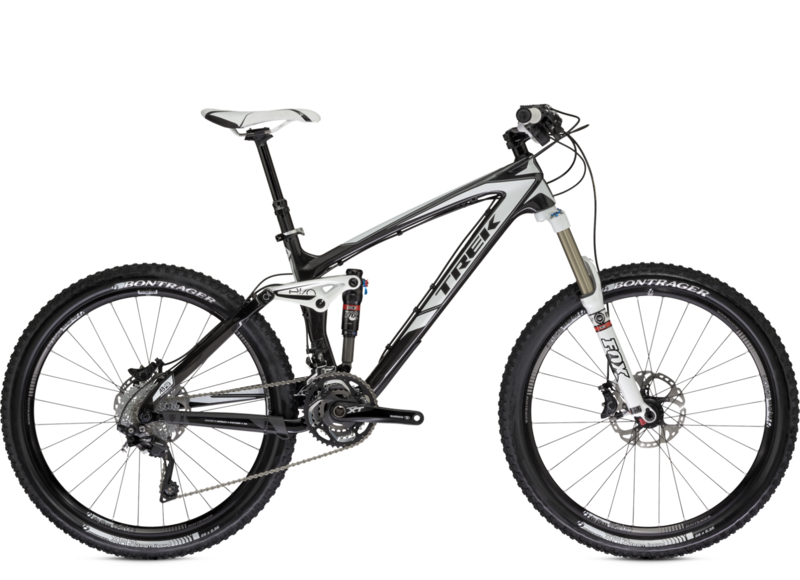 Nowadays, we have several bikes with 7 inches (180mm) of rear wheel travel that you can actually pedal nicely uphill, but absolutely rip on the downhills with near DH-bike capability. DW-link (used by the likes of Pivot, Divinci, Ibis, among others), Trek’s ABP, Santa Cruz’s VPP, Specialized’s FSR, Marin’s Quad-link are all proprietary designs that work exceptionally well, but don’t limit your options there. For example, many manufacturers have improved upon the simple and proven yet originally inefficient single-pivot design to compete with fancier, more design-heavy multi-link designs. 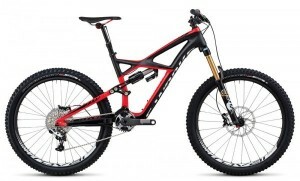 It is also worth mentioning that while many proprietary suspension systems offer great functionality and additional tunability (such as Cannondale’s Lefty fork and Dyad shock, as well as Scott’s Equalizer shock), you are usually better off choosing a system based on a more mainstream suspension components (such as Fox’s RP2, Rock Shox’s Monarch, etc). This makes it easier for you to find service kits and replacement parts without having to send the parts back to the manufacturer. It is also usually, but not necessarily, easier to perform service on non-properitary components yourself. 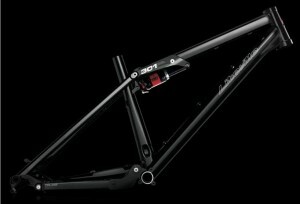 Some manufacrurers, like Ibis bikes, offer their entire line-up of mountain bike frames exclusively in carbon fiber. warranty and replacement policy (especially for carbon!). Generally speaking, carbon bikes are becoming more affordable and reliable, and the material does offer some attractive features, including reduced weight and better riding quality on well-designed frames. However, aluminium still reigns king as far as the availability of options as well as the relative peace of mind, knowing how wary many people still are to riding carbon frames, especially on particularly rocky and rough trails. It is worth noting that, if you opt for a carbon frame, you will have to be more careful with how you use your tools, and perhaps invest in a good quality torque wrench as well as carbon paste in order not to over tighten component clamps. Trek's 2013 Remedy (and other models) offer "stealth" routing for dropper post cables, which makes for a cleaner, uncluttered frame. even a particular model in a single line produced by the same brand. Do you want water bottle mounts? If yes, do you want them inside the main triangle or are you alright with them located on the underside of the downtube (exposing your water bottle to dirt and mud)? Are you picky about frame cable routing (I know I am! I like neat cable routing). Do you want to run different wheel axle types, so need interchangeable frame dropouts? Do you want to run chain guides that are mounted to ISCG tabs? Do you want to be able to run Shimano’s new direct mount rear derailleur, which needs swappable dérailleur hangers to be offered by the manufacturer? All of these considerations, and more, can be decision points for settling on a new bike on which to spend your hard earned money. The fact that you should choose your correct frame size is elementary, what I want to stress here is that frame sizing is not standard across different manufacturers, sometimes even when comparing the same models by the same manufacturers from different years. A medium will not be the same ‘medium’ for, say, Terk, Specialized and Knolly. When comparing sizes, look at individual measurements on the geometry charts. Head angle: Bikes with steep head angles (bigger numbers when measured in degrees from the horizontal) generally have better climbing characteristics and responsive steering on singletrack, but will be twitchy and do not inspire confidence on fast and steep descents. By the same token, bikes with slacker head angles will have slower steering, which will make them stable at speed but not the best climbers. Look for head angles in the 66-69 range, but keep in mind that small changes in the head angle often make a very noticeable difference in handling. Also, a longer fork does not always mean a steeper head angle. Bottom bracket height: Bikes with lower bottom brackets corner better, especially at speed, but are prone to pedal strikes. Chainstay length: Shorter chainstays cause the rear wheel to be closer to the center of the bike, making it easier to lift the front end to clear obstacles and do manuals. Longer chainstays make for a bike that holds the a line better when pointed one direction or another. Wheelbase (distance between the centers of the wheels): A bike with a longer wheel base will be more stable at speed, but will turn slower. A shorter wheelbase will have better technical characteristics and turns faster, but be less stable at speed. My current ride: 2011 Marin Mount Vision XM8 with a 150mm Rock Shox Revelation, 1x9 gearing, and KS i950 adjustable seat post. with the increasing variety in the types of full-suspension designs, evolving nature of the sport with the lines that used to define specific riding disciplines often blurred, we are increasingly looking for the ultimate “do everything” bike. With our wallets and storage space often being the limiting factors in how many bikes we can own, we are driven to make our purchase choices with careful consideration of both our needs and the overwhelming variety on the market. The “do everything bike” term is in itself a very general description, but it assumes that you are not purely the XC smooth riding type who is not into more aggressive riding or trips to places where lift-assisted fun can be had, and you are also not the strictly full-face helmet wearing, body armour clad push-uphill ride-downhill type. 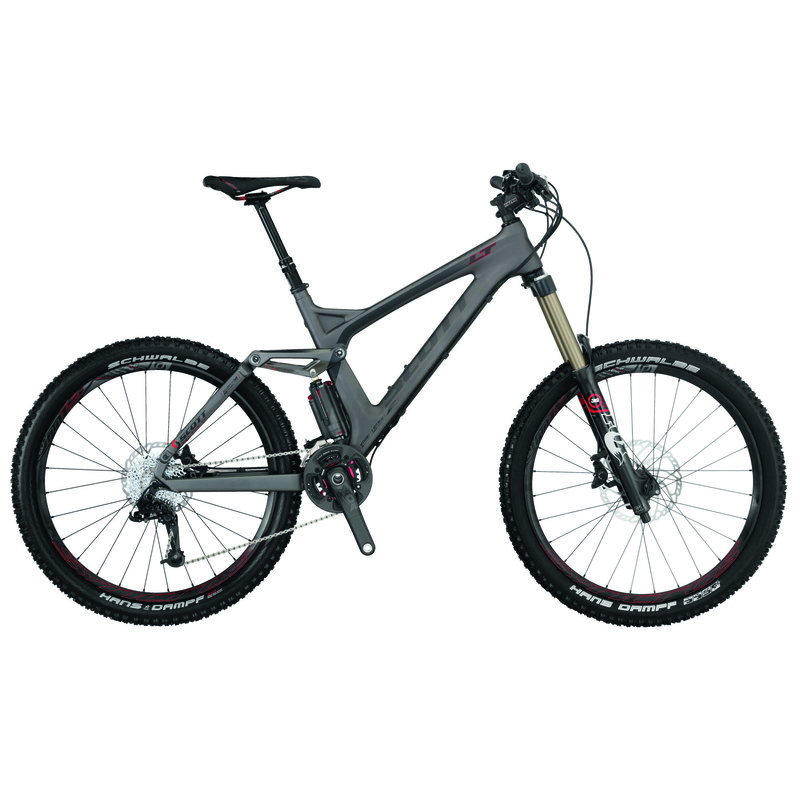 (if you are either, then perhaps you should look for purpose-built bikes, like super light XC or dedicated downhill machines). Thus, a good place to start looking is bikes with 5-7 inches (130-180mm) of travel. A do-it-all bike is more about versatility and adaptability to different types of riding and terrain than being built for and dedicated to riding a single discipline or type of trail. If you are buying a complete bike, pay less attention to component spec and more to frame design, reported reliability and upgradability. Components can be – and probably will be – swapped. On the other hand, and as an example, if you decide you want thru axle on your rear wheels and your frame does not support swappable dropouts, well, you need a new frame (or stick to QR wheels), or if you want to get a new fork that is only offered with a tapered steer tube and you have a straight head tube, then you also need a new frame, and so on. Another thing to consider is, if you’re buying a frame only, paying attention to compatibility with any existing components that you planned on using. If not, you will need to factor in the cost of new components into your initial budget. Finally, We mountain bikers are a picky bunch. We’re never satisfied with a “good enough” balance and we keep looking for better, more advanced and more capable bikes, often forgetting that the biggest bottleneck is often our own skills and fitness. Choose your new bike carefully, but do not spend more time picking a bike than actually riding it! 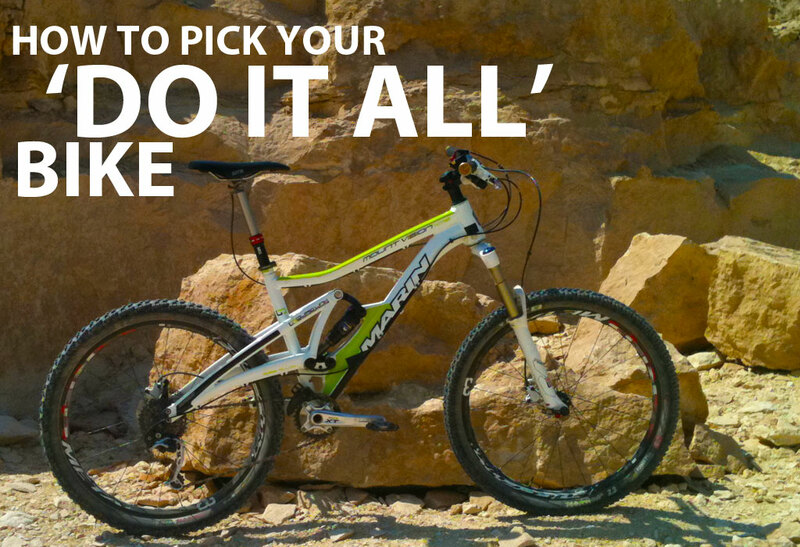 If you find yourself torn between two or more bikes, just pick one and go riding. You’ll want to ‘upgrade’ sooner than you thought, anyway!